35 restaurants along the coastline that extends through both destinations—including six new participants—will be presenting the best of the region’s gastronomy with special menus and pricing for 17 days. The 11th Restaurant Week is all set to delight palates from May 15-31, 2015. This culinary event is organized by Vallarta Lifestyles Publishing Group in collaboration with the Riviera Nayarit Convention and Visitors Bureau (CVB) and its Groups and Events department, the Puerto Vallarta Tourism Trust (Fidetur) and the Bay Vallarta-Riviera Nayarit magazine. The event with the tagline “The Restaurant Event That Pampers Your Palate,” was announced during a press conference. There will be 35 regional restaurants participating, six of which are doing so for the first time. The other 27 have been part of the event for at least two previous editions. This is the 11th successful year for this 17-day festival, which features innovated prix fixe, three-course menus ranging anywhere from $199 to $299 Mexican pesos per person (not including tips and beverages) and has been key in extending the tourist high season. For restaurant owners it’s a great opportunity to be creative in the preparation of their menus, not to mention attract new customers. For locals and visitors alike it’s a one-of-a-kind opportunity in the region to “pamper their palate” and save money at the same time. 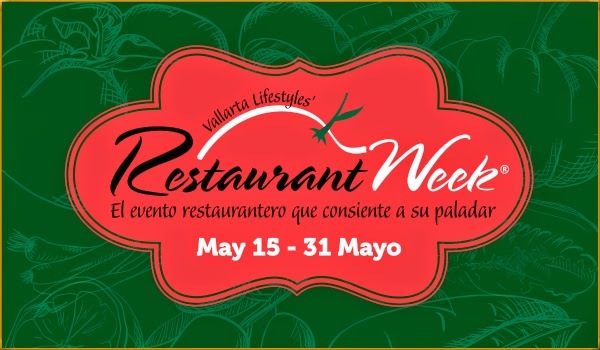 Get to know the restaurants and their menus here: http://virtualvallarta.com/puertovallarta/bm.doc/restaurant-week-2015.pdf.